CAE has announced the launch of its new data-driven training system for the defence industry, CAE Rise. The system is designed to enable defence and security organisations to deliver standardised training as well as assisting instructors in assessing pilot competencies by using live data in training sessions. Analytics provided by the system reduce subjectivity in assessment, which helps instructors train their pilots more effectively. CAE group president, defence and security, Gene Colabatistto said CAE Rise shows his company's commitment to developing digital technologies to revolutionise training. “The aviation industry – both military and civil – faces the long-term challenge of producing sufficient numbers of highly-qualified pilots to meet demand. 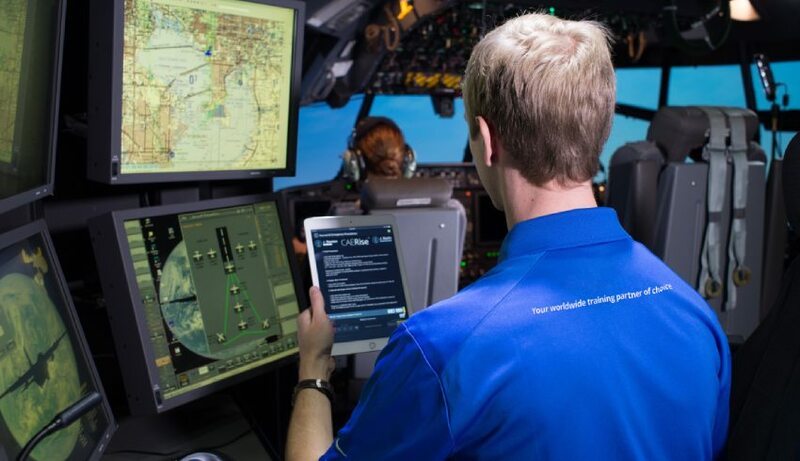 CAE’s focus on aviation training and innovations such as CAE Rise will contribute to making pilot training more efficient, standardised and objective, which ultimately helps produce higher-quality and better prepared pilots,” Colabatistto said. Enabling training organisation efficiencies such as maintaining electronic records, identifying performance gaps and implementing closed-loop, adaptive training. CAE's defence and security unit focuses on training centres, training services and simulation products across all market segments, in order to develop and maintain high levels of mission readiness. The company trains over 220,000 civil and defence crew members, including over 130,000 pilots, annually.